The relentless fury of Ed Dorn 1. Edited with a preface by Jennifer Dunbar Dorn. Edited by Gavin Selerie and Justin Katko. It has often been said that a “Collected Poems” is a dreadful thing, and when it is 1000 pages long it is certainly a daunting thing, and there are all sorts of problems in how to use it. When Frank O’Hara’s Collected Poems appeared in 1971 I got rid of all the original books, and now can’t find a poem I want unless I can clearly remember the title or incipit. The first collected poems of Charles Olson (Archaeologist of Morning, 1970) had only a non-alphabetical chronological list, no indexes, and above all no page numbers (pagination being evidently considered bourgeois) – I had to pencil my own in. 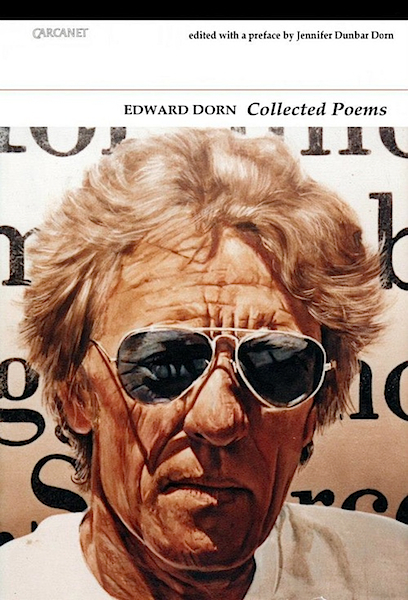 But Dorn’s Collected Poems is very professionally edited and produced in these respects, indexed and sourced, everything dated, and the original volumes are kept distinct, so the reader’s conceptual problems are reduced to the effects of sheer bulk. For me the principal of these is that a poet’s entire work over a long period (in this case 55 years) becomes one solid lump (or “Sllab” as Dorn might have called it). You don’t of course have to read it from cover to cover – only the hapless reviewer has that obligation – but nevertheless it is formed into a unit and will be thought of as such whether in adulation or doubt. Everything however various becomes equally validated, and the extremes of the writing are inhibited from challenging each other. There are some poets (e.g. W.S. Graham, Pierre Reverdy) whose work tends towards a sense of unity because it is the product more of a single-minded drive, as if attempting to write the same poem over and over again. Edward Dorn is not one of those. There is an immense variety of modes, scale, and pitch, from high elegiac seriousness to casual jokes, and from lyric to narrative and polemic, and there are latent contradictions. But all these strategies are conjoined in his insistent purpose as poetical radical, hater of establishment and commerce, towards which verbal projectiles of many kinds never stop being directed, bearer of a fury which never relents. IN MANY QUARTERS, Dorn has become a hero of the new, and the adulation is total, “a master among masters” as Iain Sinclair says in his blurb. 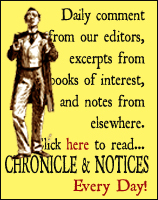 Although younger than most of them, his reputation sits comfortably with the poets of the “new American poetry” of the 1960s – Olson, Creeley, Duncan, O’Hara, Ginsberg et al., inheritors of the techniques (modes of attack) and purposive scope of Ezra Pound, but never of his politics. These are the masters he sits among. And for all their differences they do stand together in opposition to the entire drift of American politics and society in the twentieth century,1 none more so than Dorn. Naturally in present conditions, many poets and readers experience a dependence on these pioneer radical poets which makes them sacrosanct, just as for many of us the light beaming towards us from Americans such as Dorn in the 1960s seemed the only channel to a future for poetry worth thinking about, however much we later learned what our native strengths were. I think that in Dorn’s case this was justified, and much of the work he did up to and including his first move to England in 1965 could well bear the adulation. He went into Black Mountain College at the age of 21 and was taught there by Olson, but the manner he developed in the next two decades was his own, obviously influenced at first by Olson as well as by Williams and Stevens, but not drawn into Olson’s cultural agendas, nor apparently tempted to run for the academy. In fact for a decade he moved around in the western states, which is where he came from, getting various manual labour jobs. The poetry comes straight out of this. has got us out to look for fuel. every window has been abused with the rocks of departing children. one of the world’s wonders. but still deliberate and measured. An undetached calm is the signal feature of his poetry in the first half of the 1960s, as he carefully learns to hold language and syntax in his own terms, and the instances and concerns of the provincial and unprofessional life he lives are more and more projected outwards towards reader and world as linguistic vectors. He is clearly moving, in no rush but determinedly, towards a version of the local which remains local but of greater reach. He remained local for ever; even on the other side of the earth thirty years later he is the semi-rural westerner peering into what went on in the thirteenth century through the lens of a burning sense of necessary justice. This condemnation is repeated in similar terms among his last poems, of 1999. 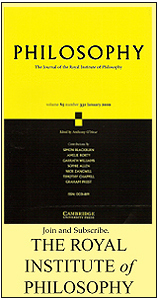 There is an increased scope of learning and reference, as here, but still governed by passionate speech – indeed the virtual elimination of punctuation means the poems’ periods are articulated entirely by the syntax of speech. The delivery is in some ways plainer while the intellectual substance and the figuration are both more involved, so that we are more warmly invited while made to think harder. Yet our thinking can hardly be distinguished from our appraisal of the man in the narrative of his life on the ground. This writing is virtually uninterruptable. No matter where you end an excerpt you cut through the process, and there are three poems 15 pages or more long. it does not pretend to be a small supermarket. Cold air, clean glass. We rest and watch. of a life gone terribly lonely. It will be a march. A frail cloud moves with silence into the window. No sound in the store. No bell on the door. And the intrusion of the self is not allowed to swamp the description. But the unexcited calm here, a mental calm which allies with serious thought, is something which later disappeared from his poetry. 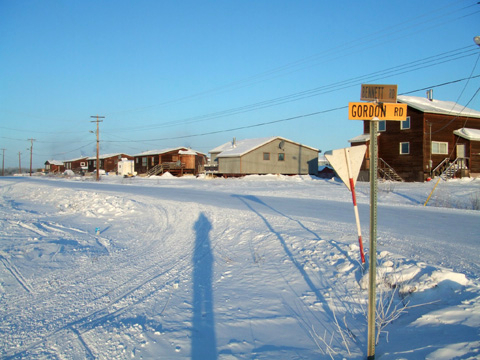 At about the time Dorn must have visited the place (if he did) the Federal Government attempted to close Aklavik down and built a new village in a more practical position, Inuvik, referred to later in the poem: “Simple fear compels Inuvik, her liquor store / lifts the darkness / by the rotation of a false summer. / The Children of the Sun never go to Inuvik, on bloody feet, half starved…”. Aklavik survived due to local organised insistence but it sounds as if this process was not concluded at the time of the poem. It is a long poem, and the as-if uncontrollable passionate outcry on behalf of another version of “the damned of the earth” never relents. xxxxthe fallen are the pure Children of the Sun …. It is a theatre: Aklavik is the only place, “all life” is before us on this stage, and it defines its terms as it goes along by metaphors which reach beyond any function of comparison and are perhaps not metaphors at all, but, within the theatre, literal terms. There are more extreme figures than this, two of which defeat me: that the Children of the Sun, the Aklavikians wrapped in semi-permanent night, are said not to permit the “intrusion of food” and the blackflies which evidently infest the place “form a core and critical shell of inflexible lust”. The poet is obviously risking everything, including the appearance of sanity, in the furore of expression which bids for a unity of disparate perceptions which is close to systematic, though he is in no way indulging allegory or symbolism. “ROMANTIC” MIGHT NOT be an entirely inappropriate word here, thinking particularly of Shelley and Blake. In its manner it is a product of Olson’s teaching, who placed the self as the one reliable access to humanity, earth and cosmos, to be represented in strings of semi-autonomous phrases. But this kind of high figurative discourse has been cultivated widely as a reaction to eighteenth century rationalism (which Dorn later became very interested in) and in the twentieth century was particularly strong in British poets such as Dylan Thomas and those he influenced. The distinguishing question, though, is exactly how the observed details or the particulars of perception are made to become global or cosmic terms. Here it is by sheer pressure. I find Dorn’s course as we have seen it so far, on the edge of the next phase, quite exemplary, because there was no bullying involved, no heroism, and no movements were launched. With Olson’s discoveries at the back of his mind he pursued the realities of the life he lived and patiently sought a writing which would evince a unity of being comprising at least history, politics and geography as intimate to personal experience. It was ambitious, but he kept it literal and was always ready to embrace calm and circumspection. There is arguably a shrillness in “Thesis” which means he has pushed out to a limit. The aroused self is the sole authority, and such an exclusive foundation might not bear much further pressure. To me this is why, among the twelve substantial poems of the book of which “Thesis” is the first, you do not have to go very far before meeting what I can only view as his first major collapse. 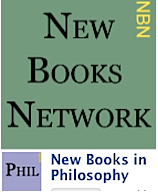 Peter Riley, the poetry editor of The Fortnightly Review‘s New Series, is a former editor of Collection, and the author of fifteen books of poetry – and some of prose. His latest book is The Glacial Stairway (Carcanet, 2011). He lives in Cambridge and is the recipient of a 2012 Cholmondeley Award for poetry. This is the first part of a two-part review. Publication: Monday, 4 February 2013, at 05:12.